Whether you have stove or oven range problems, we’ll be able to help. Our pros are experts in these appliances and offer quick range repair in Port Coquitlam, British Columbia. The kitchen appliance techs from our local company are experienced in ranges. We are also updated with the most novel models on the market. Gas or electric, we repair them. Get in touch with Appliance Repair Port Coquitlam when you want to install a new range too. 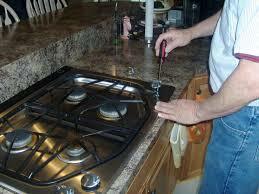 Call our pros now if you need gas range repair in Port Coquitlam, BC. Gas powered appliances can create a lot of problems if they are not fixed right away. Do you feel there is a strong gas odor in the kitchen? Once you turn the main valve off, contact our company. Our experts always respond fast when you need services, but they will go the extra mile to help you should you need gas Port Coquitlam range repair. Is your range powered by electricity? We provide electric range repair too. The slightest problem with the appliance’s wiring can create problems. Let us find out what went wrong with the appliance. Our techs are qualified to troubleshoot and repair electric ranges. Whether there is a problem with the stove and its burners or the oven and the heating elements, give us a call. 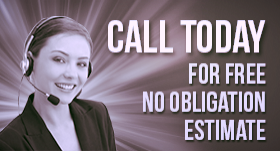 We will be happy to assist you with any request. Call us now and let us cover your range repair Port Coquitlam needs.